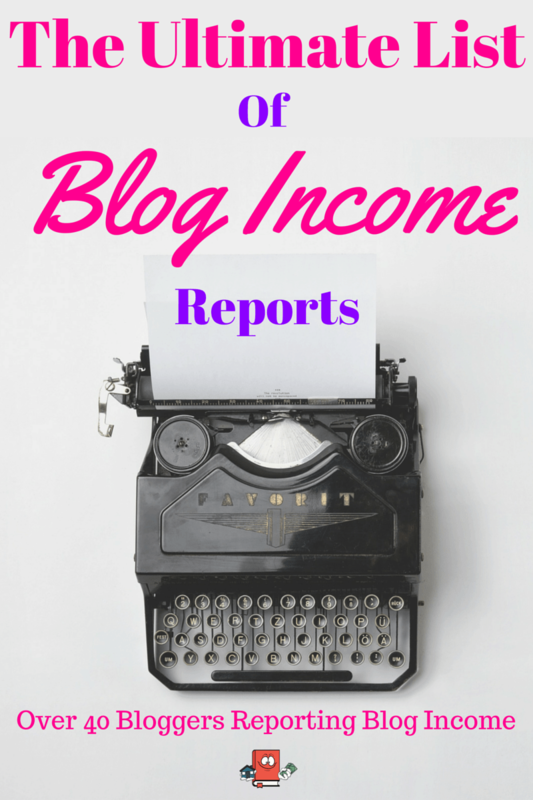 Welcome to my 7th edition of my monthly blog income report. Each Month I will prepare a report in which I will publish all my blog statistics and income that have been generated from Cash Flow Diaries. If you would like to see all or previous income reports of mine, you can do so here. December was officially my 7th full month of blogging. Finally past the half-year point of blogging and I’m really excited to see where these final months take up until I get to my 1 year mark of blogging. Including December, Cash Flow Diaries has made a total of $996.88. A full break down can be found below. Isn’t that amazing? 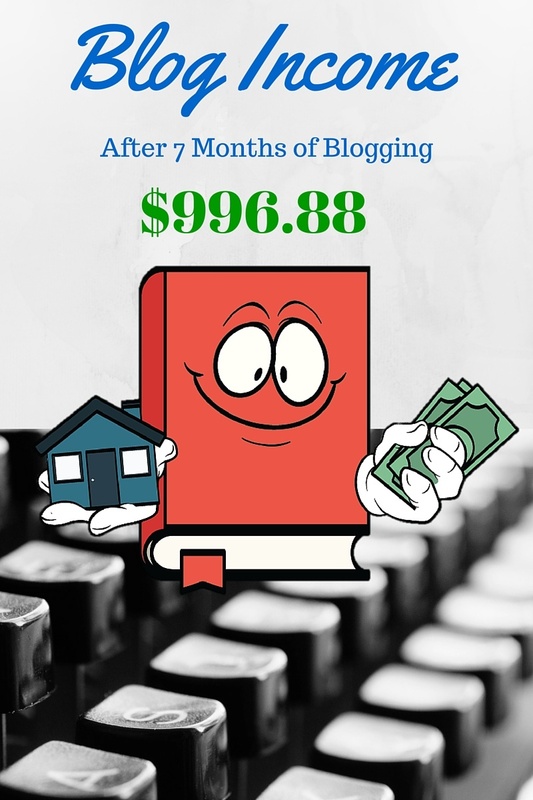 I am almost at the $1k mark and if I continue with these stats, I should make about $1700 for my first year of blogging. Who knows what will happen of course with the next 6 months so I’ll just keep my fingers crossed and hope it does well. I honestly never thought the blog would be making this much money this early. And with zero blogging experience. 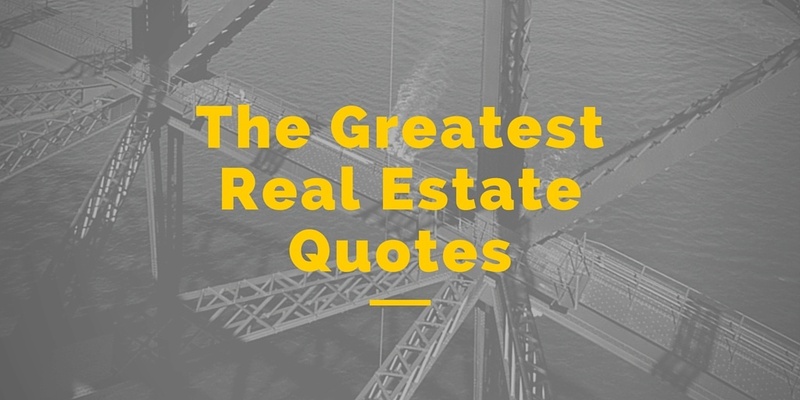 I have decided that all my blog income is going toward my real estate account funds so that the money can and will be used for anything having to do with my rental properties. Whether its making repairs or flat-out buying new ones. To think, that one day, a long time from now of course this blog will buy me a rental property. Ha, that is awesome! My ultimate goal is to reach financial freedom by generating enough passive income to be able to quit my job. These are the finalized earnings from December 1st to December 31st. Last month I made about $33 so this was a small drop. I am completely happy with the $30 extra passive income made by the google ads. In 7 months of blogging, I have now made a grand total of $263.73 from AdSense. I am very pleased with this number. Of course I wish it was more and hope that it only gets better but it’s not easy generating traffic to my blog. Big fat stinking zero. I have been averaging about $100 from my Personal Capital affiliate so I’m sad I did not get any hits on this one in December. I’m sure you already know what this is but it’s a personal finance manager online app that aggregates all your income and expenses and provides cool graphs and charts for you. It’s completely FREE and I find it very useful especially for tracking my net worth. This is a new ads provider that I signed up for about mid last month. I threw some of these ads out on the blog and was able to get about $7 from them which isn’t bad. Especially because I put them in random places on the side widget only. So I kept my google adsense ads were they were and just added these in other places. I am now considering swapping my adsense ads with this one to see how I come out at the end of the month. I need to figure out which one is going to pay me more money. So I made a total of $103.20 from blogging in December. This is a my lowest amount made since months 1 and 2 of blogging so it is very disappointing. I really need to figure out a way on how to make more consistent money with the blog and 2016 will hopefully be the year I figure it out. This makes my yearly earnings to date a grand total of $996.88. A whole 1,200 more page views then November and I made less money. Weird huh? Just goes to show there is no rhyme or reason on how much money can be made. I really want to figure out how to increase my page views. It seems I have been stuck in this 10k area for months now. The growth has appeared to stop. I am planning on putting more effort into the blog this year so hopefully I can experience some growth. My FB friends keep increasing and I love this. I did make extra effort in December making new friend requests though. I would say that apart from search engine traffic, facebook is one of my biggest contributors to page views. I only hope to continue building this as it should help the blog increase traffic. Hopefully! My pinterest referrers are starting to get a little better and as you can see, the followers are increasing. I started using the free trial of tailwind to see what it would do and it seems to be working a bit. Nothing crazy though. When my free trial runs out, I will not purchase it. I will however continue pinning my articles and hope for the best. Looking good. I think you are doing great. I can tell you , your stats at 7-months in are much better than mine at that point. Thanks Brian. I was definitely dispointed with how December went but it only made me super motivated to increase those numbers for January. I am working really hard right now on figuring out how to grow bigger. Hopefully next month’s report will be much better. Thanks for the feedback. How long have you been blogging anyways? what wordpress theme are you using for your blog? Im using the ProMax theme. I think I paid like $18 for it and it was one of the first ones I saw. I didnt spend a ton of time looking at themes. Its been working out pretty good for me so far. I may change themes in the future if i decide to start selling a product. Those are some impressive stats. You must have really dedicated yourself to the blog over the past 7 months, nice work! Thanks so much! I have spent a ton of time working on the blog for sure in the past 7 months but I admit it died off during the last few months. This year though in 2016 I plan on aggressively growing the blog so I will probably be spending a lot more time on it. I already have actually just this month. Will be looking on your growth this year. 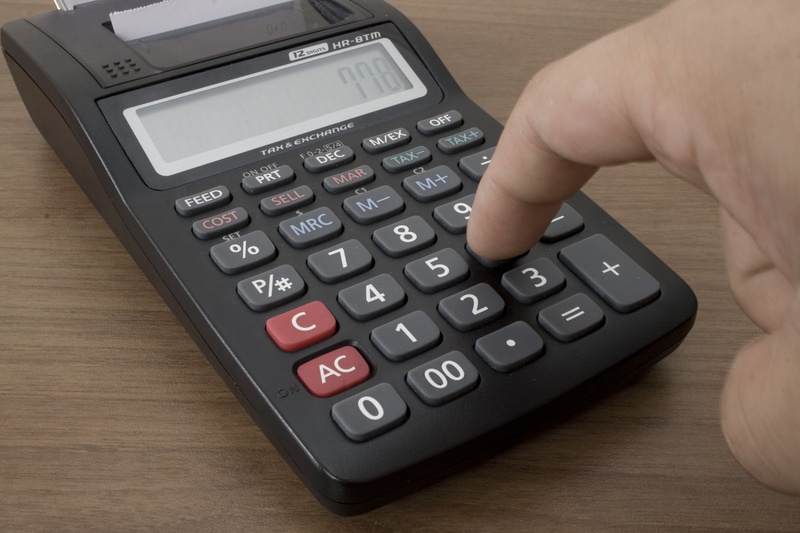 This is a really thorough analysis of your stats and I must say a learned quite a bit – like the importance of social media, which for some reason, I have been unwilling to consider important, up until about a month ago. Also, your traffic stats are pretty impressive…from my point of view 😀 I’m going to look around your site some more to see if you’ve shared what worked in that department. Right now, I’m really interested in organic traffic from search engines and it’s difficult getting the ball rolling, as I am sure you are aware. Thank you Fehmeen! Im really glad you are learning from my income reports. Social media is very important especially if you want to generate more traffic to your blog. I havent created a blog post just on how I do my social media but I have left random tidbits in comments and other income reports that may help you. Ultimately the key is to just keep friending/following other accounts and automating your posts to the social media sites. My search engine traffic has been getting better but its not amazing. It takes time and good SEO practices I think to get better at search engine traffic. Omg I’m so glad I found your blog I was thinking my blog was way behind. You’re definitely doing better than I was at month 1-2 I haven’t made any sales. I do want to know if you experienced any times with Media.net that your impressions didn’t earn you anything?? I’ve read other blogs that said they had issues with this. I literally just started using Media.net at the end of December so I have not had it enough time to be able to tell how good its going to be. I have to see what happens this month before I know if its better then adsense or not. So far though, i have not experienced any issues with the impressions not earning anything. I earn at least a little bit everyday. Oh okay. I’m gonna be on the lookout for a Media.net update. ? Looking forward to your future posts! Good to see things progressing for you. Having ups and downs is all part of growing, and that will never stop! The best thing I see going for you is your increase in email subscribers. That’s pretty good and would probably be even better with a couple strong lead magnets and call to actions. Income will follow, I’m sure. Have you considered putting out your own product? That would really boost your monthly income. Hey Nathan! Having that down month definitely just made me more motivated for this month so at least I got that drive out of it! Thanks for the feedback. I have that pop up for subscribers but other then that, nothing really. I just feel bad bombarding the readers with a ton of pop ups. If you could send me some more details about the strong lead magnets or call to actions, I would appreciate that. I have considered making an ebook on how to buy a turnkey rental property but just havent had the time to learn about how to do it properly or to think about how I would even do it but it does make sense for me to do something like. I will keep pondering that but eventually I do need to provide some kind of product to generate some more income, youre right! While it might seem like a down month because of earnings, you still did quite well. Adding 75 new email subscribers and 2206 followers is pretty impressive! I just started trying to boost my twitter followers but haven’t even started on Facebook, that’s a whole new beast! I wouldn’t be surprised if this month or next is a new earnings record for you. Either way keep up the good work! Hey CF Addict! Love your blog name by the way! And thank you for your input. The subscribers I have been getting is pretty awesome so I should not take that for granted. Its taken me months to try and figure out twitter/facebook and pinterest but I think I finally get it and will be able to grow all of them pretty good although right now to be honest, I am concentrating heavily on pinterest and twitter. My facebook referrers seem to be dropping and I have been reading that facebook only shows love if you pay for advertising and I refuse to do that unless I was actually selling something. I can tell you that so far this month in January I definitely have already made more then I made last month so I am pleased with that and I could break my record of I think $276 in one month I would be very pleased. Congrats on the great stats! I must admit I’ve been blogging for over two years and you’ve added more Facebook subscribers in one month than I have total subscribers. Would you make a post outlining how you’re gaining so many followers? Thanks Thomas! Haha yeah well Im sure I put a lot more effort in growing my facebook friends. One different thing that I do is that I keep it a personal profile page, I dont do a facebook blog page like most others do. I am planning on pushing out an article on how I grew my social media so fast soon so be on the lookout. You’re smashing it Alex :)! looking forward to watching you continue to grow!